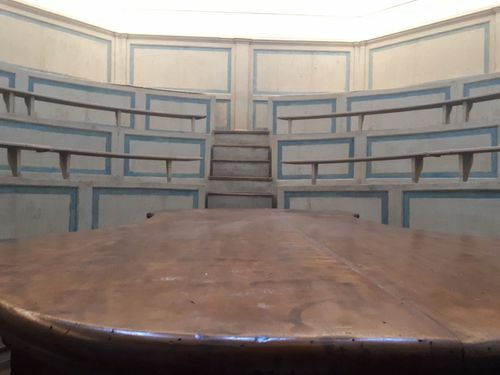 The Anatomical Theatre of Modena (Viale Berengario, 16) was inaugurated the 20th of January, 1775, on the initiative of Antonio Scarpa. 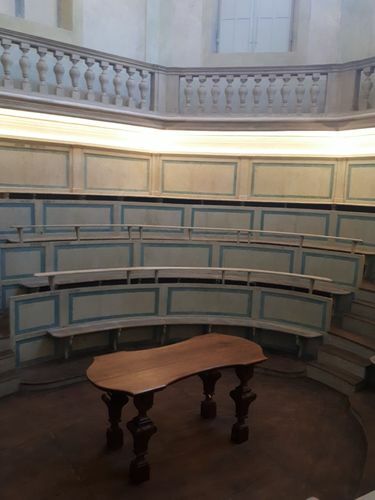 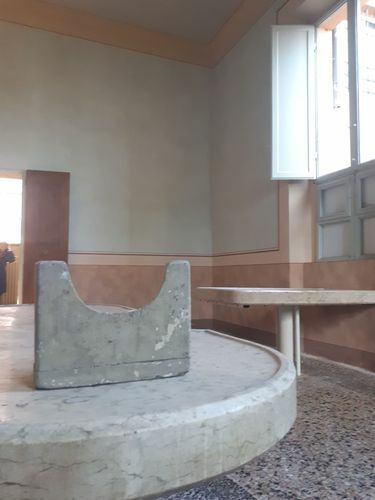 Connected to the Monumental Complex of Sant'Agostino, the theatre has been recently restored by Elisabetta Vidoni Guidoni and reopened to the public1. In the center of the theatre, the very wooden table used by Antonio Scarpa for his demonstrations can still be seen. 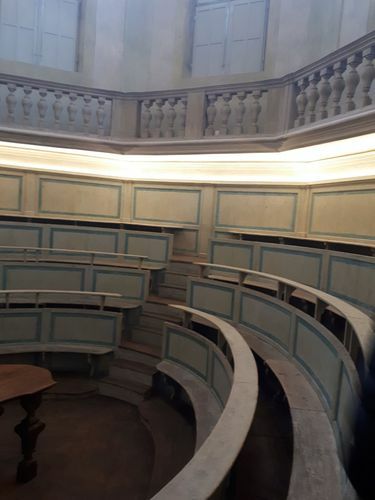 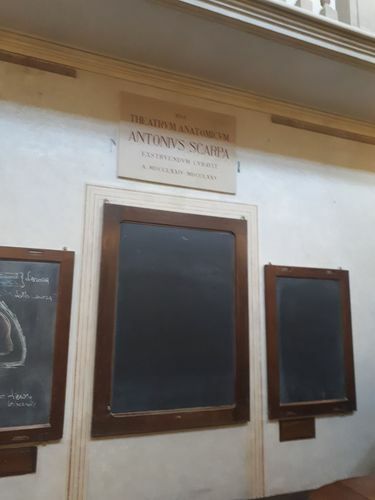 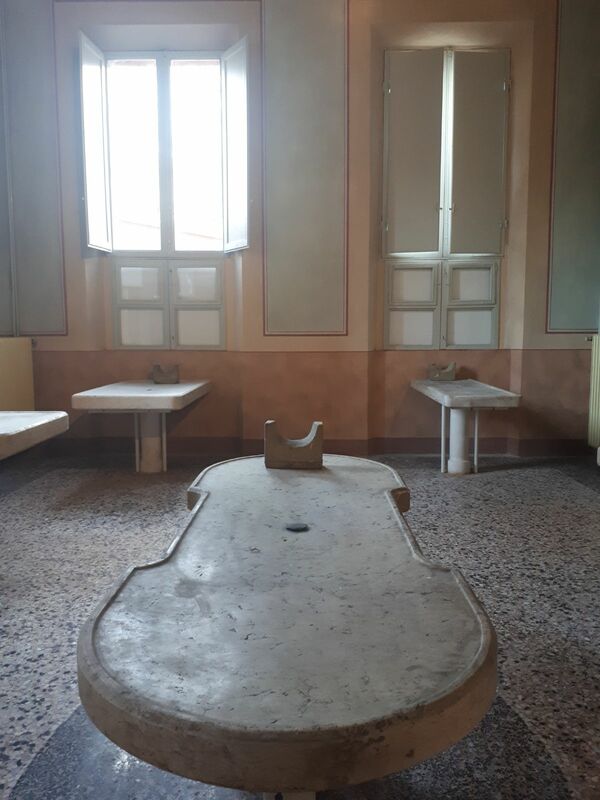 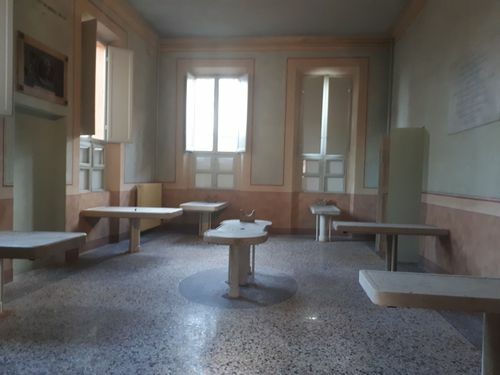 Next to the theatre, also a beautiful room with marble tables for the preparation of cadavers and for the work of the anatomy professors can be seen. 1. See, for example, this Italian news.